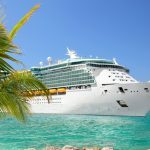 Solo travelling is increasingly common these days and it seems to be the case that, after quite a few decades, cruise operators have finally begun to get up to speed with the solo travelling trend. In fact, you’ll find that, nowadays, they often use a period of refurbishment for their ships to give facilities for singles a good makeover, adding extra cabins where they can in order to attract customers who are sailing alone. In a lot of cases, however, you may find that a supplement for single occupancy is still charged, so it has to be said that any increase in the number of dedicated singles (or studio) cabins is very welcome indeed. There are some cruise operators that offer a share programme for singles, where they match you with a roommate of the same gender. This can help defray your costs however if you don’t want to share your room with a stranger, there is also an opportunity to take up one of the time limited offers that appear from time to time and that waive or significantly reduce the normal single supplement. 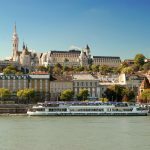 In many cases, European river cruises have activity programmes tailored for single people, including coffee mornings and cocktail parties providing an opportunity to mingle and lots of occasions to be sociable, if that’s what you want, including classes, excursions and seminars. 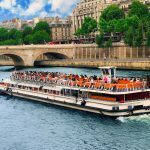 In fact, it’s best to remember that generally, river cruises provide fairly busy holidays, often much more so than ocean cruises, as most include an excursion each day. 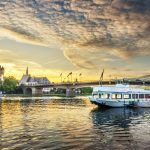 Along the European waterways, there is usually a daily sightseeing programme, which is optional of course, and the best European river cruise deals include excursions in your overall cruise fare. You can enjoy a walking or coach tour of cities and towns, for instance, or visits to ancient castles. Of course, you might prefer food tastings, biking outings or trips to vineyards. 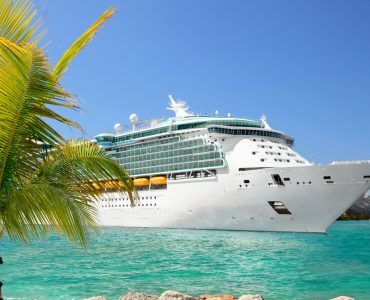 If you have a particular interest, you can always look for a cruise that provides the kind of experiences you enjoy most. 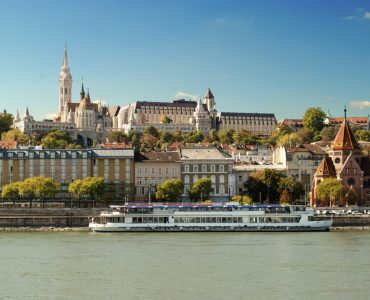 Among the most popular European river cruises are excursions on the River Danube, often including other waterways in Central and Eastern Europe. Portugal’s River Douro features many scenic landscapes with overnight stays in hotels in a number of towns and cities. The Moselle River, (Mosel in Germany) is a tributary of the Rhine and flows for 339 miles (545 km) across the northeastern parts of France and the western parts of Germany, rejoining the Rhine at Koblenz. 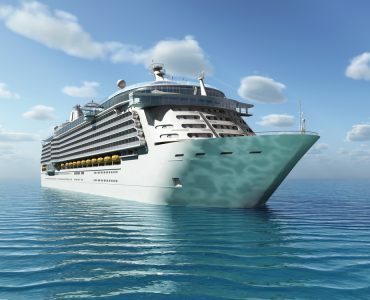 This is undoubtedly one of the cruises for you if you love to visit vineyards. 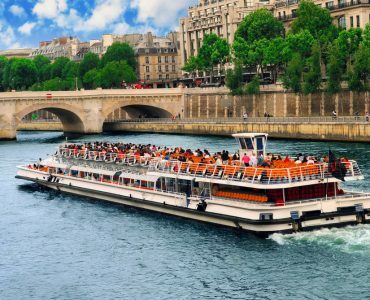 There’s no doubt that the Rhone and the Saone in France remain among the most popular for river cruises, although it has to be said this means it’s likely to be more difficult to find last minute cruise deals for singles on these routes. 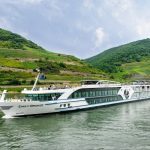 However, the good news is that there are some 2018 luxury cruises along these rivers that are tailor-made for solo travellers. 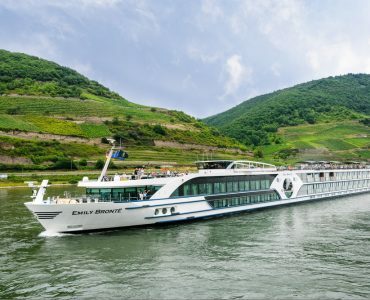 One example departs from Lyon and the cruise takes in Chalon and Beaune, Vienna and Tournon, before reaching the Ardèche Gorges in the south of France. After Arles and Pont du Gard, Avignon is the final port of call. 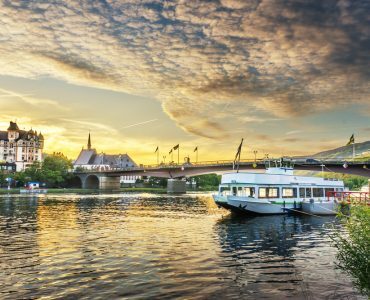 This is possibly one of the best European river cruises for singles available today.